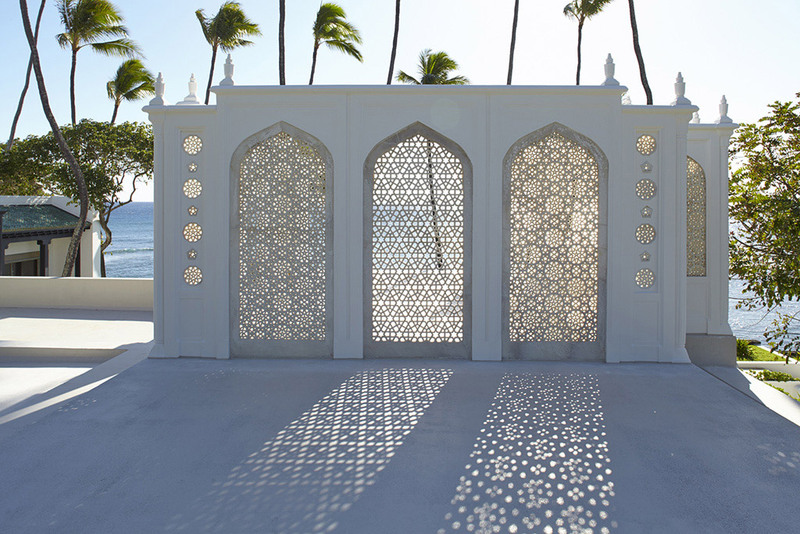 Built in Honolulu, Hawai'i from 1936–1938, Shangri La overlooks the Pacific Ocean and Diamond Head and houses Doris Duke's (1912–1993) collection of Islamic art. Of the many homes that Duke inhabited, Shangri La is the only one that she built from the ground up and filled from the inside out. 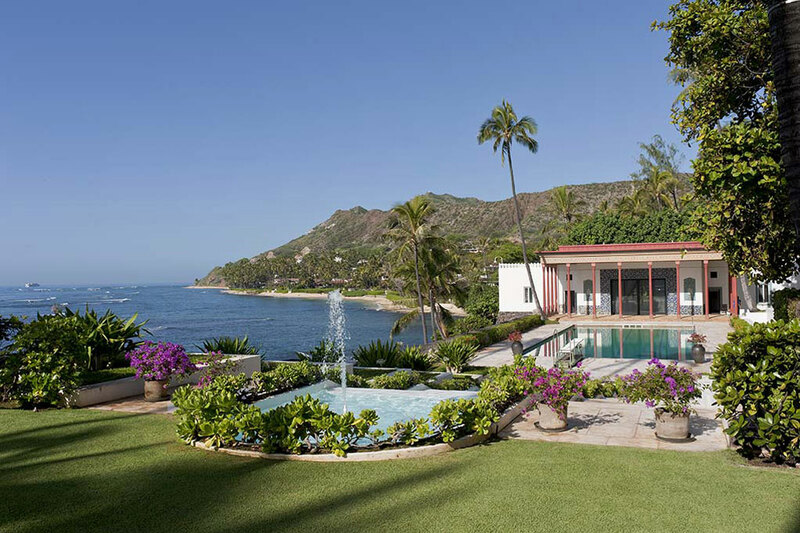 The five-acre complex integrates a 14,000-square-foot house, a Playhouse, and a pool, comprising a series of interlocking spaces, both indoors and out: rooms, courtyards, lanais, terraces, gardens, and numerous water features. While design and early construction were underway, Duke traveled extensively in the Middle East, visiting historical monuments and providing the architect with photographs of architectural decoration to be incorporated into Shangri La's design. She also placed large commissions with contemporary artisans in India, Morocco, Iran, and Syria to create art and architectural elements, utilizing traditional forms, patterns, and means of fabrication. For nearly 60 years, Doris Duke continued to collect Islamic art, ultimately forming a collection of about 2,500 objects, many of which are embedded into the structure of the house. 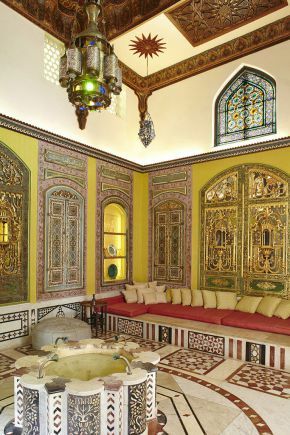 Iranian ceramic tile panels, carved and painted ceilings from Morocco, jali (perforated screen) doors and windows, and textiles and carpets create a living environment of Islamic art and architectural decoration. The later centuries of production (c. 1600–1940) are better represented, and ceramics, metalwork, wood, glass and textiles are favored over the arts of the book and works on paper. 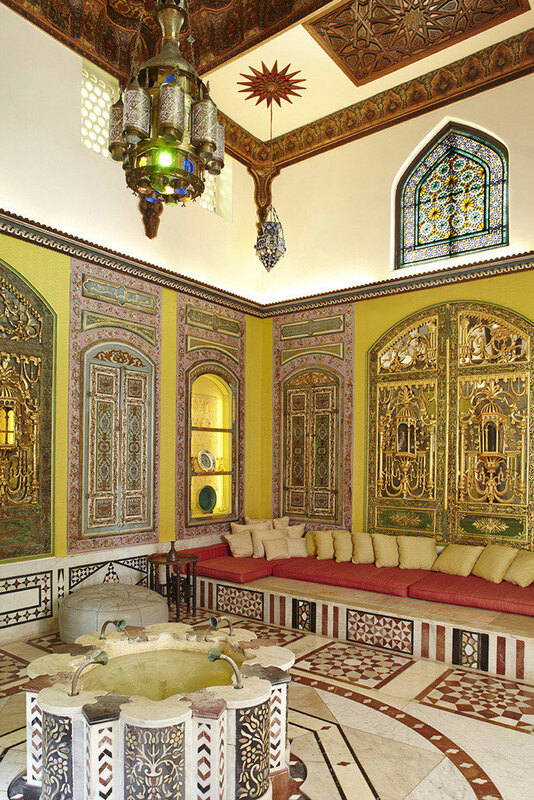 The collection ranges from items of the finest artistic quality, including medieval Persian tilework and painted interiors from eighteenth- and nineteenth-century Damascus, to ethnographic objects such as leather saddles and a bedouin-style tent, reflecting Duke's broad and inclusive sense of aesthetics. Today, Shangri La is nationally recognized for its high artistic value and as one of Hawai'i's most architecturally significant homes. It is open to the public for guided tours and educational programs such as lectures, performances and occasional symposia. Shangri La also supports residencies for contemporary artists and for scholars researching Islamic art.